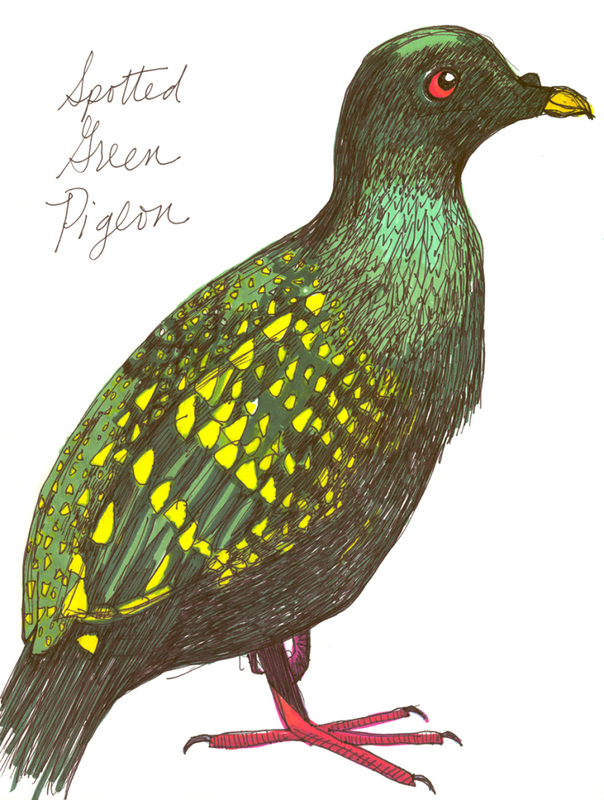 The Spotted Green Pigeon is one of the rarer of the rare; an extinct species of pigeon that we only know from a handful of historical records and one existing specimen, currently in the World Museum Liverpool. Scientists think it was collected in French Polynesia sometime in the late eighteenth or early nineteenth centuries. It was first described in a book published in 1783 called A General Synopsis of Birds, written by the Englishman John Latham, who became an expert in Australian birds. 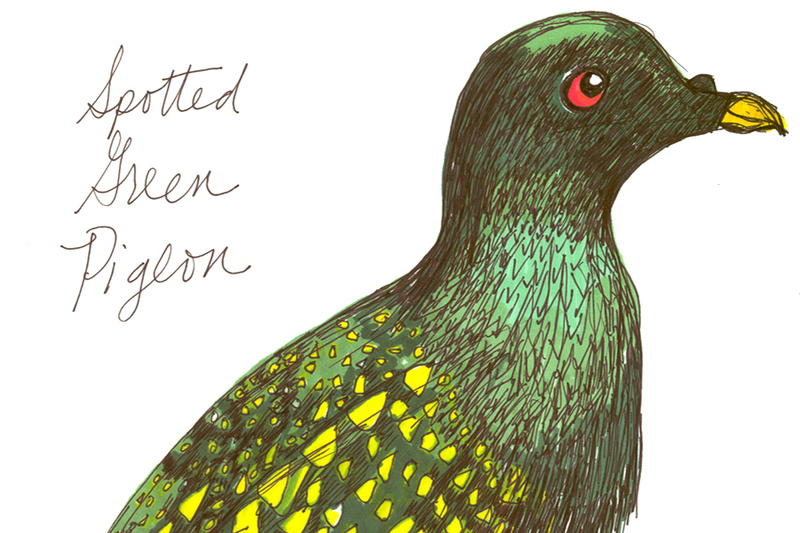 A General Synopsis was his first book, and included 106 of his own bird illustrations. The bird was apparently quite rare even in the eighteenth century and as a result almost nothing is known about it. Maybe it lived in subtropical forests? Maybe it lived in the same forest year-round, like its relatives? No one knows for sure. What we do know is that it is one of the relatives of the Dodo, our favorite poster child of extinction, and a prominent member of the pigeon family. Today people are interested in the Spotted Green Pigeon because of its genetic makeup, which scientists say link it to the Dodo, and which may create a link to a common island-hopping ancestor. The Spotted Green Pigeon is genetically most closely related to the Nicobar pigeon, which still exists, and the Dodo and the Rodrigues solitaire, both extinct birds from islands near Madagascar. 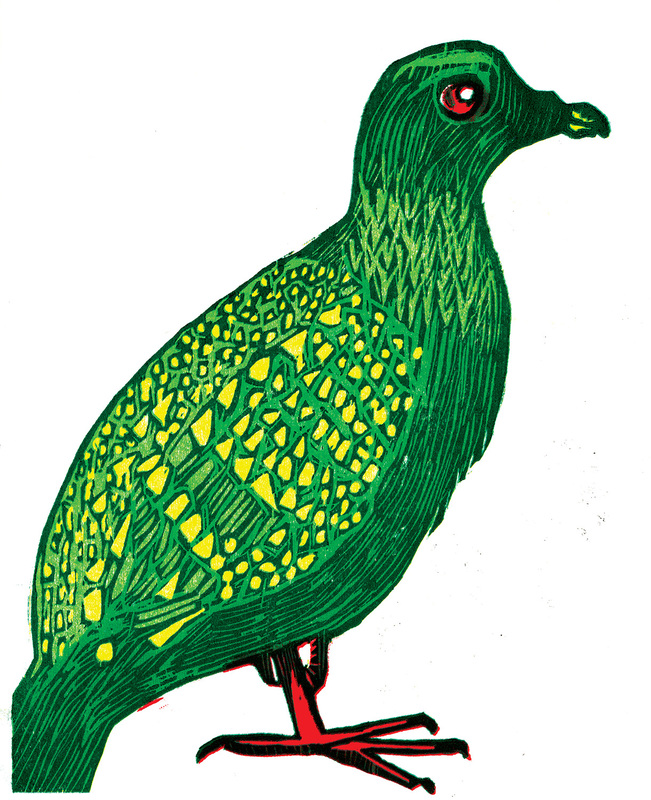 The Spotted Green Pigeon shows signs that it retained the ability to fly, unlike its famous cousin. The closely related Nicobar pigeon shows similar habits and has a preference for travelling between small islands. Scientists say this lifestyle, together with the relationship of both pigeons to the dodo and Rodrigues solitaire, supports an evolutionary theory that the ancestors of these birds were ‘island hoppers’, moving between islands around India and Southeast Asia. The birds that settled on particular islands then evolved into the individual species. The Dodo’s ancestor managed to hop as far as the island of Mauritius near Madagascar where it then lost the ability to fly.